Not orange, or pink...just beautiful shades of RED! Chunky, pretty, classy, and trendy! If red is your color, this bracelet says it all! Wear it loose on the wrist, so beads move freely, catch the light, and sparkle with your movement....therefore chunky, but comfortable! This bracelet is silver plated (7.5 inches long), with a lobster claw clasp. 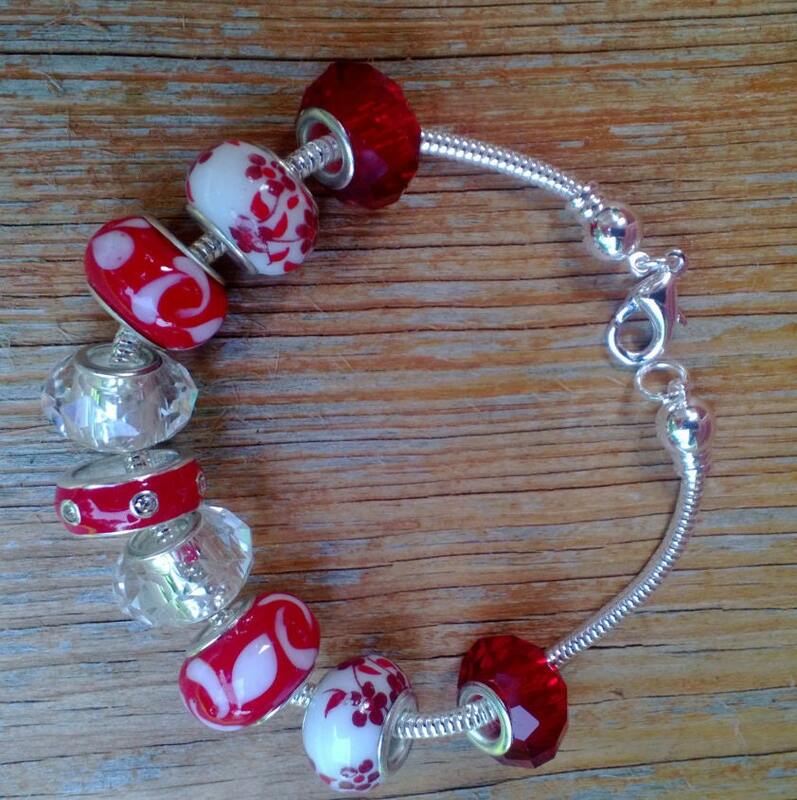 Beads are made with porcelain, crystal, and glass.